Sigmund Freud believed the uncanny to be something which leads us back to what is old and familiar but is at the same time "unheimlich" or uncomfortable. 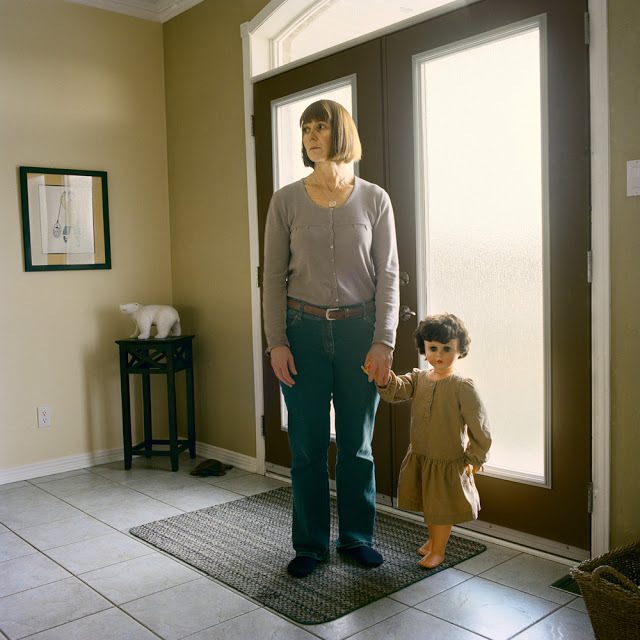 This series explores the idea of the uncanny as it manifests in a longing for youth, and a recognition of mortality. 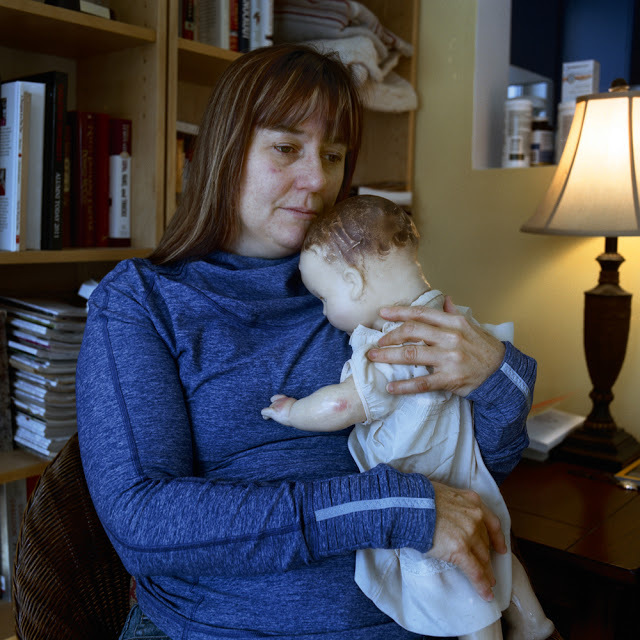 Driven by the nostalgia of our lost childhood, many of us have kept our dolls: sitting on a shelf, buried in a box in a closet, locked in an attic. 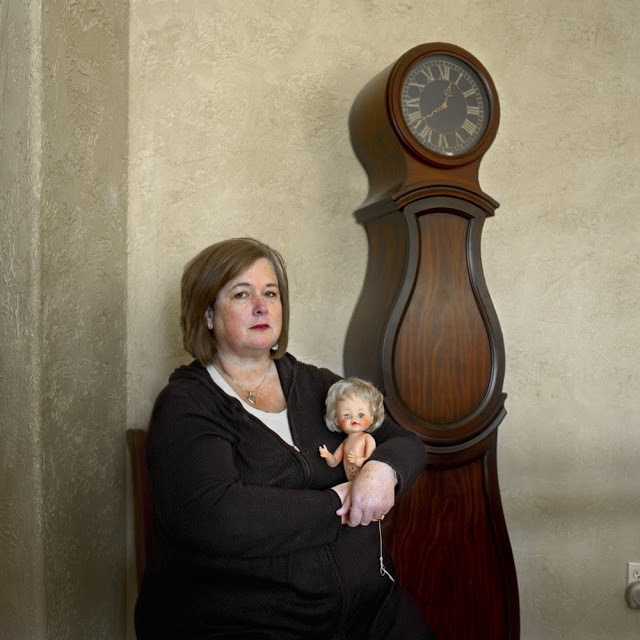 In these portraits, women over 40 are posed with their childhood dolls. 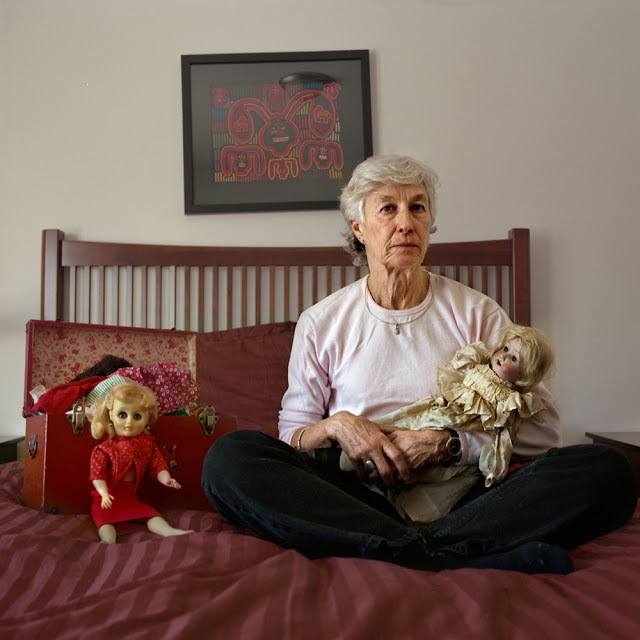 Each doll serves as an entry point into the history of our life which is both strange and familiar. 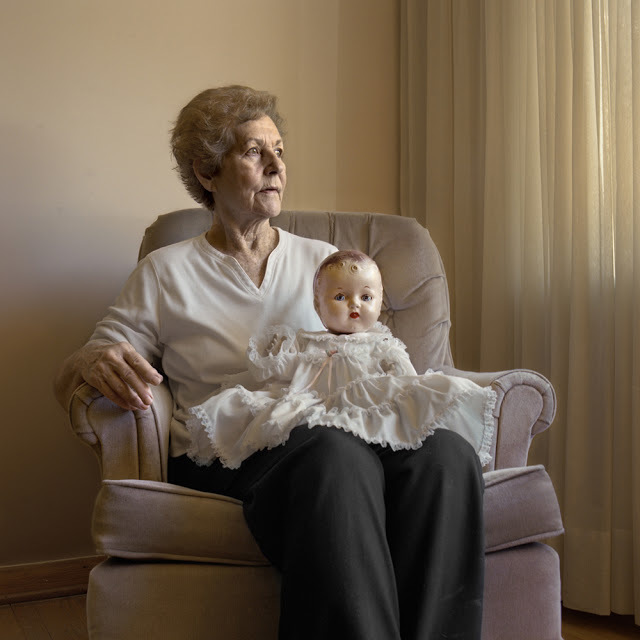 In my photographic survey I consider the rediscovery of these doll-mementos, which lead these women to recall a past of comfort and security. It's hard to imagine a time and place when we would have played with these dolls. As young girls we spent hours with them. Our friend and confident, they kept us safe at bedtime, while comforting us during stressful times. 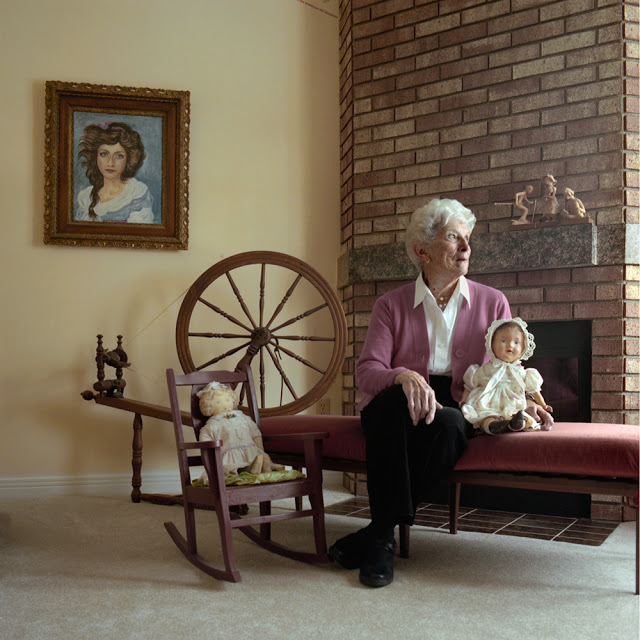 Those days are gone forever, yet eternally present as evidenced by the doll: an assurance of a past. 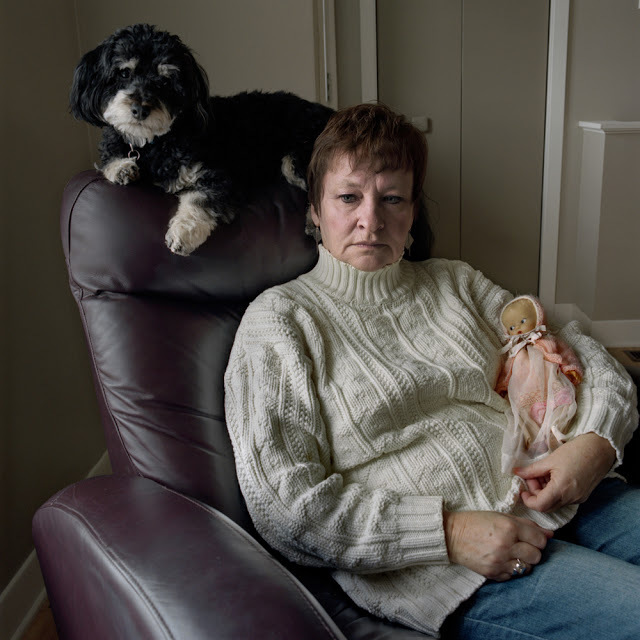 These images are tinged with a sense of 'memento mori' - 'remember that you are mortal.' As I age, I am constantly reminded of life's uncertainty. 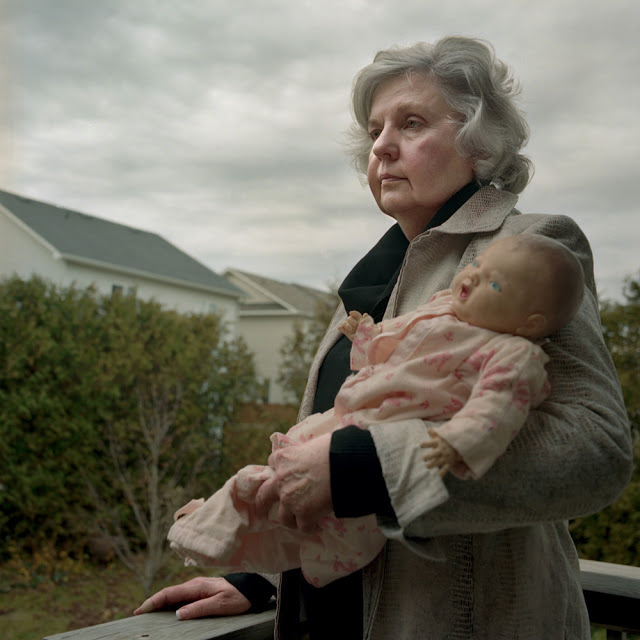 This series helps me reflect on the human condition: the transience of life and the inevitability of death. Born and raised in Cape Breton, Nova Scotia, moved Canada's arctic territory of Nunavut. Struggling to fit in, she turned to her photography to build a bridge between herself and the Inuit, a friendship of sorts - a visual record of an intangible exchange. After living in Nunavut for 5 years, Vera returned south to work in Ottawa where she sought out opportunities to develop her photographic skills. She eventually left her place of work to study full time at the School of the Photographic Arts: Ottawa (SPAO). In her final year of studies she focused her attention on issues of identity, the fragility of life and the passage of time. 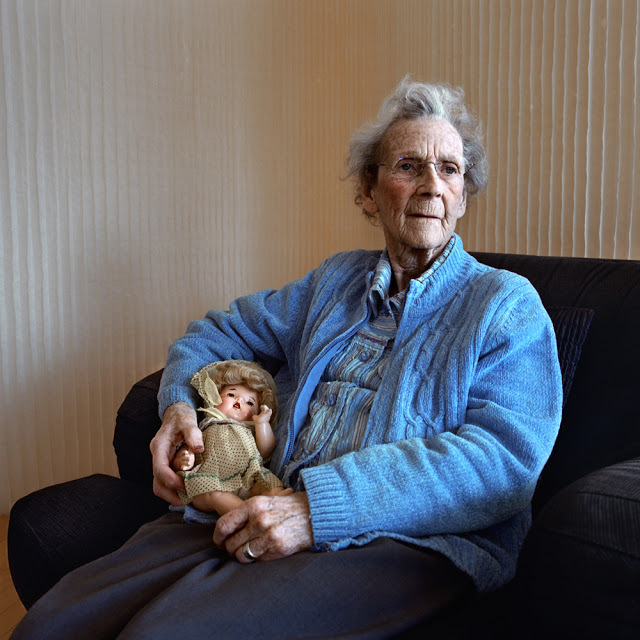 In 2012, Vera's series Sue and Winnie won an Applied Arts Award for creative excellence. 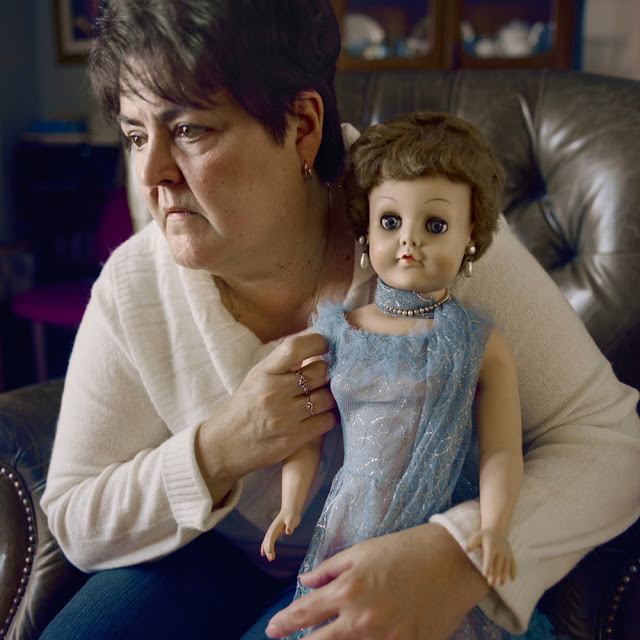 Vera currently resides in Fort Qu'appelle, Saskatchewan.